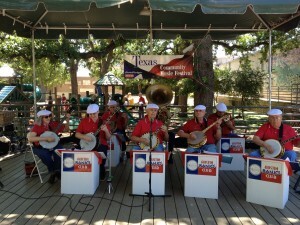 The Austin Banjo Club will be making their fifth appearance in the Texas Community Music Festival. Come see them Saturday, April 20 at 4:00pm, at Central Market North. The Austin Banjo Club has been playing traditional banjo music in and around Austin for more than a quarter century. or even at a funeral.